A Memorandum of Understanding (MOU) signed between the Asian Development Bank (ADB) and World Health Organization (WHO) in Manila last Friday (Feb 8) may one day result in universal healthcare throughout the region. The agreement will see the two organisations deepen their collaboration in supporting countries in Asia and the Pacific achieve universal health coverage (UHC) and better health for their populations. A core part of this overall collaborative agenda focuses on conducting joint policy analysis and research, teaming up on the production and sharing of knowledge products through seminars and conferences, and strengthening international and regional networks. The MOU was signed at ADB headquarters by President Takehiko Nakao, and newly appointed regional director of WHO Western Pacific Regional Office, Dr Takeshi Kasai, and regional director of the WHO South East Asia Regional Office Dr Poonam Khetrapal Singh. While expectations of better health service infrastructure and healthier living conditions rise as countries advance, public financing is essential for countries to make sustainable progress towards universal health coverage. Achieving better health outcomes demands sufficient resources as well as innovative approaches to manage health care in new ways, more effectively, with better quality, and for lower cost. According to Dr Singh “the collaboration between ADB and WHO could work to improve the health and well-being of people, particularly through the identified areas of cooperation such as supporting universal health coverage, affordability and accessibility of medical products”, and more. The Manila-based bank expects to facilitate its investment in health projects and health components of multi-sectoral projects that will enable the region achieve and maintain universal health coverage. These investments, it said, may be informed and reinforced by WHO technical advice and support, coordinated under a ADB–WHO MOU signed in September 2018. “ADB’s new long-term strategic framework Strategy 2030 and its aspirations for Asia and the Pacific are fully aligned with the Sustainable Development Goals (SDGs) and the global call for universal health coverage”, said Mr Nakao. “We look forward to working together with WHO to help achieve UHC, increase health security against pandemics through surveillance and laboratory support, and improve urban health, elderly care, and climate change impacts on health in Asia and the Pacific”, he added. Warning that “the signs of several impending crises are plain to see: Populations are getting older and non-communicable diseases are on the rise, Dr Kasai said “the next pandemic could strike at any time. “Air pollution and climate change are already taking a huge toll on health and too many people in this region still cannot access affordable, high-quality health care. These are key challenges on which we’ll work with the ADB and focus our support to countries over the coming five years”. 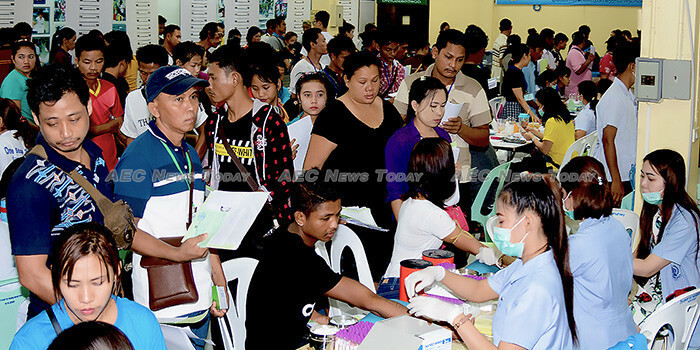 In 2018 the ADB committed $516 million in loans and grant for 13 projects in the health sector, the highest since 2010.